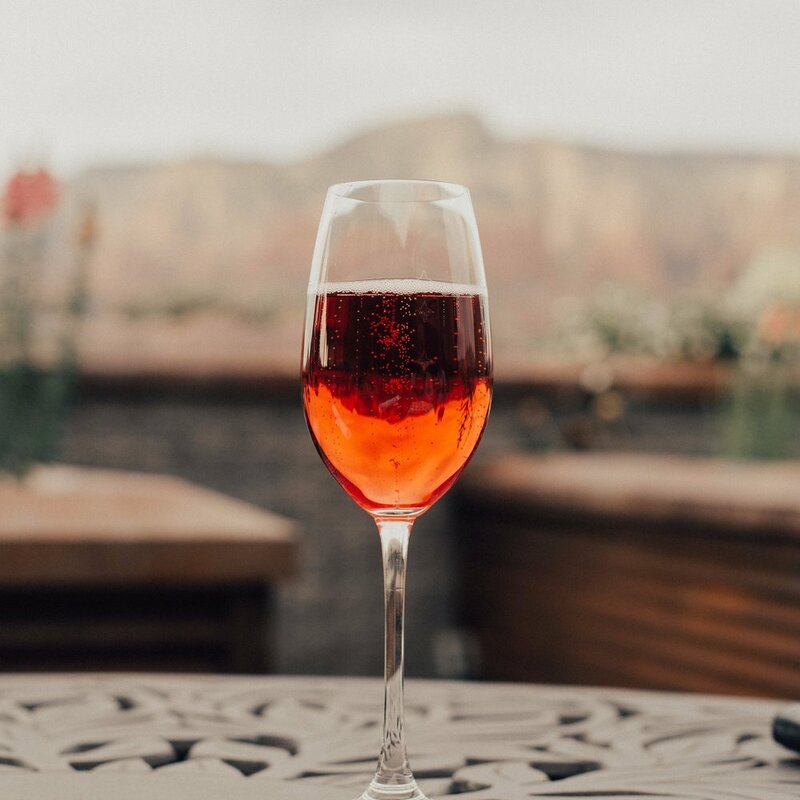 Moondance Sedona Sanctuary is situated in the valley of Oak Creek, with a majestic view of Cathedral Rock. Beautifully furnished rooms accommodate either one, two, or three guests comfortably with private or shared bathroom facilities. Rooms are available in single occupancy or shared occupancy options. Property also includes an onsite yoga studio, swimming pool, hot tub, covered deck, 1.7 acres of fenced yard, and breathtaking views. 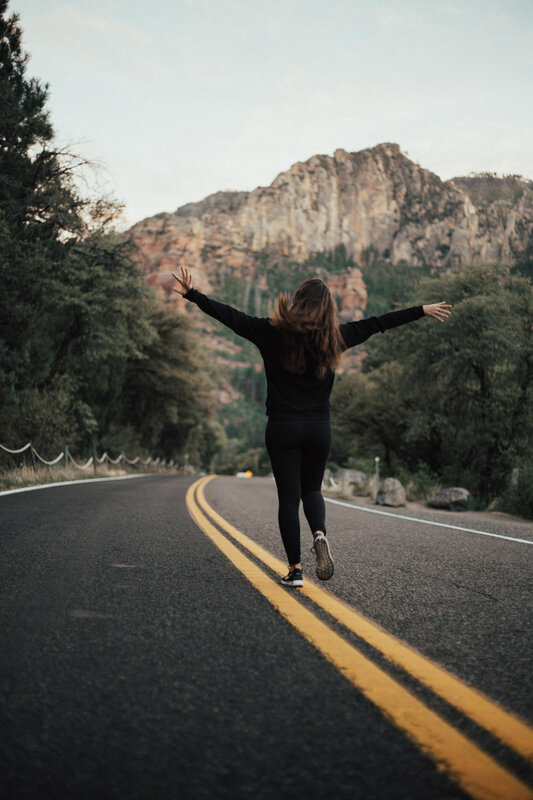 A 5 minute walk to Camp Avalon Spiritual Nature Retreat with dozens of trails and swimming with private creek access to Oak Creek as well. Your fuel is a huge priority to us! 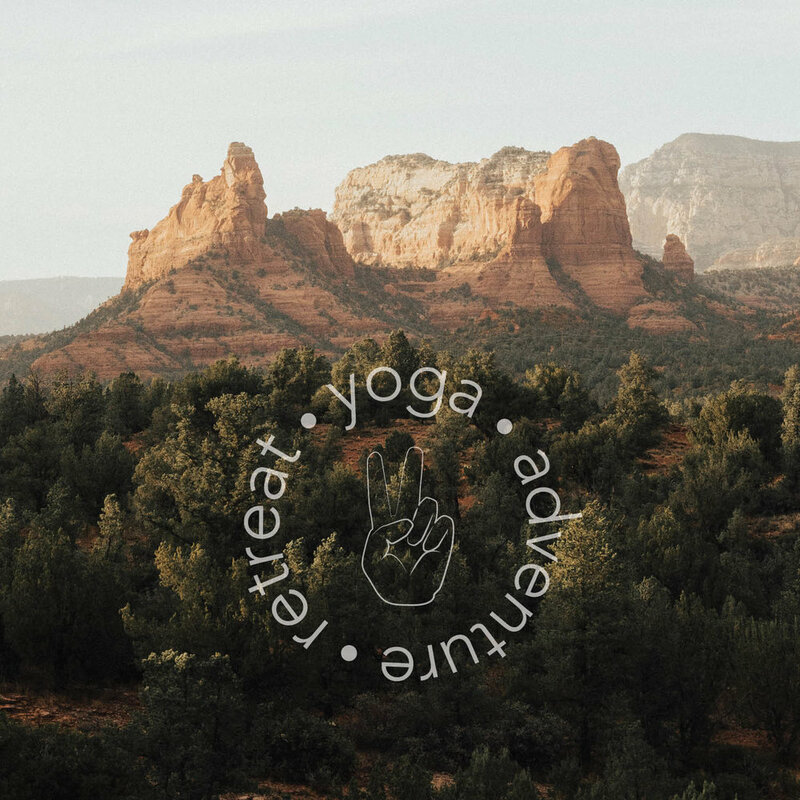 Enjoy fresh, healthy, delicious food catered by Sedona's local Heartline Cafe. 5 breakfasts and 4 dinners are included. Vegetarian, Vegan, Gluten Free, or other dietary needs will be accommodated. Please advise your hosts at time of booking. Daily practices will be led by Aleysha & Nicola in the mornings and evenings. Styles of yoga will include vinyasa flow, hatha, yin, yoga nidra & guided meditations. An evening of live music by Nicola & yin with massage led by Aleysha will also be included as a special treat! All classes will be suitable for all levels. Please bring your own yoga mat. The sacred lands of Camp Avalon have historically been used for organic gardening and community development. 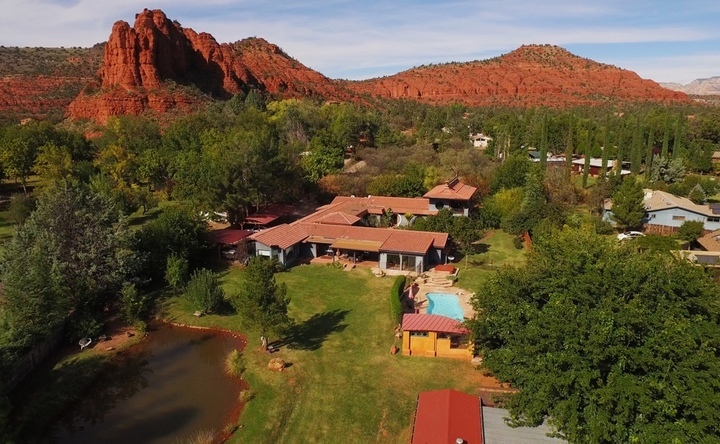 Now, these beautiful and rural lands are often the destination location for campers and those seeking spiritual retreat in the heart of one of Sedona's most pristine natural habitats. Sedona vortexes are thought to be swirling centers of energy that are conducive to healing, meditation and self-exploration. These are places where the earth seems especially alive with energy. Many people feel inspired, recharged or uplifted after visiting a vortex. The South Rim of the Grand Canyon is only a 2 hour drive North of Sedona. Spend the day exploring one of the greatest wonders of the modern world! Our helicopter tour departs from the South Rim of the Grand Canyon taking you over the beautiful Kaibab National Forest, home to the world's largest ponderosa pine forest. Upon reaching the edge of the canyon, the South Rim gently drops away as the North Rim and Eastern end of the canyon come into view - one of the most spectacular views in the entire canyon. As you cross over the Colorado River, you'll fly over the South Rim and the Kaibab National Forest landing back at the Grand Canyon Airport. This Grand Canyon tour will provide you with memories of a lifetime! If you didn't know, your host, Nicola is also a professional photographer! During our time together she will be snapping photos and at the end of our retreat she will compile a beautiful photo album of professional, edited photos for you to keep, share & post. Her gift to you! $500 USD non-refundable deposit is required upon booking. Payment plans available. Final payment of remaining amount is due before October 1st. No refunds will be given.